« Fall Crias Are a-Comin!!! This week has brought some amazing additions to the the Epic herd – two new silver grey herdsires, both sons of some of the top greys in the nation, and both superb studs in their own right. 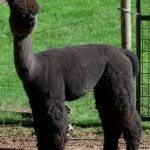 The new pride of the herd, Morning Star’s Don Diego, is a modern dark silver grey with the softest fleece you’ll ever feel on an adult alpaca. 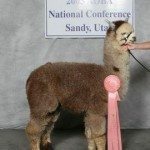 His sire is Emerald Farms Rincon Cloud, the 2005 Grey National Champion, who has passed his great temperament, conformation, and fleece on to this son. Diego has a color championship himself, as well as eight Blue Ribbons. He’s kept his fineness, having an AFD of 23, at age 7 and will soon be adding both his super color and fleece to his offspring at our ranch. Arriving last weekend is our other new grey herdsire, Avatar’s Avalance. His father, Avatar, is another AOBA National Winner who has produced a plethora of blue ribbon and champion babies, including Avalance. 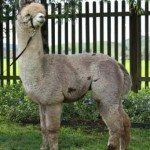 Lance is a proven producer who will add some superb genetics, fleece, and color to our future offspring! This entry was posted in News, Uncategorized. Bookmark the permalink. Both comments and trackbacks are currently closed.